Android is rather the most popular smartphone operating system. Due to the popularity of Android OS, many companies started manufacturing phones with android. Every company designs and customizes Android OS according to their requirements. They offer many utility apps like Calculator, GPS, torch, antivirus apps, app locker and much more. But every phone doesn’t have all these utility apps. Because few companies totally provide their own UI system. In that case Android Launcher also provide additional features. All these having different apps functionality system. Some older android have only few utility apps. It do not have apps like inbuilt torch, applocker, language translator etc. Then you need to download best utility apps for android. Which we have to additionally download and install them on our phone to take more advantage of our phone capabilities. Today here we are going to provide so best utility apps for android phone. Which fulfill all missing utility app requirement from android device. List Of Best Utility Apps For Android. 4. Super Bright LED Torch. 5. IP Tools Network Utilities. 6. QR Droid Code Scanner. 7. Duplicate Contacts & Utilities. 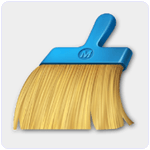 Clean Master is an amazing Android utility app to keep our phone save from virus and malicious programs. It offer a combo pack of applocker, Memory cleaner, CPU booster, Antivirus etc. We can easily lock our private apps like Whatsapp, Facebook, messages and contact to increase our security. It also provide autostart manager through which we can control auto starting of apps. Its task killer process kill all the extra tasks that make our device slow. Approximately 200 million users have downloaded this app. 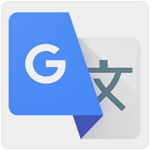 Google Translate is awesome Android app which also fall in the category of utility apps. We can translate world’s any language to our mother tang. We can translate 90 languages by typing. Users can also use camera to translate the text in our desired language and this feature support 26 languages. We can also download language pack for offline use if we do not have internet connection. Approximately 200 users have downloaded this app. 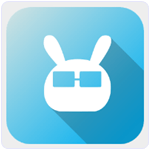 Smart Tools is an Android utility app which provide us a combo pack of daily usage tools. 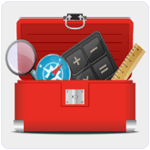 It support 33 different tools like code scanner, Night vision, Calculator, compass, thermometer, Ruler, Battery tester etc. Smart Tools is light weight app with easy to use interface. It provide tools for different occasion. This app makes it’s users smart with the help of different tools. Usually these tools are not available in all the smart phones. Approximately 5 million users have downloaded this app. 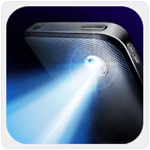 It is awesome Android utility app which frequently convert our Smart phone into LED torch. We can take full advantage of smart phone LED with easy to use on/off control. Older smart phone does not have inbuilt torch. This is the best option for older smart phone to convert it into a torch. It also have bling mode support and we can adjust its blinking frequency. Approximately 200 million users have downloaded this app. 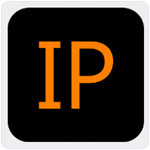 IP Tools Network Utilities is a powerful network utility app for Android smart phones. It quickly help us to analyze Network and detect problems. 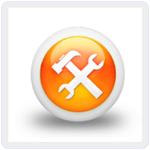 It provide the most common network tools which we often use in Linux and Windows. IP Tools Network Utilities provide an easy to use interface which provide information about internal and external IP addresses, SSID, BSSID, broadcast addresses, network mask, country, region etc. It also provide ping tool to check network connectivity. Approximately 5 million users have downloaded this app. 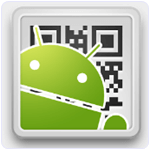 It is another popular Android utility app which convert our phone into QR, Bar Code scanner. We can easily scan code from camera or we can also import image to scan code. We can easily scan and create QR code from our contact and bookmark and send to our friends easily. It also provide its widget to get more help from this app. Approximately 100 million users have downloaded this app. It is an Android Utility app which help us to easily manage our contacts and email contacts. Often we have hundreds of contacts. We can not find duplicate contact easily. It provide tools to find contact with same name and number, same name and different number. This app provide inbuilt duplicate contact detector and contact remover. It also detect duplicate emails contact when we sync our contacts Microsoft outlook or gmail fetch all emails to contacts. We can also export contacts in PDF or excel files. Approximately 0.5 million user download this app. 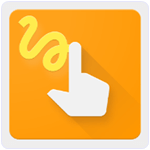 Google Gesture Search is an Amazing Utility app which make our search smart. We can easily search our Contacts, apps, setting, music bookmarks easily. It continuously refine search result as we add gesture and letters. It provide easy to use interface with quick searching tools. We do not need to find our settings, apps etc just draw the letter on our smart phone screen and see the result. Approximately 5 million users have downloaded this app. Phone Doctor Plus is good option to keep our phone health good. It provide 30 hardware test to check our hardware status like GPS, Camera, CPU speed, Memory, Battery and much more. It provide smart and accurate prediction of battery life and kill all the battery draining task. We can also monitor our data usage for daily and monthly basis. Approximately 0.5 million users have downloaded this app. It is another Best Android utility apps for students and engineers. 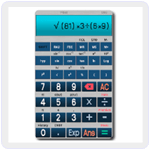 Normally all the smart phones offer normal calculator for simple calculation. We can not calculate log values, angles like sin, cosine etc. This app can calculate all the scientific values like angles, log, mode, under root etc. It provide easy to use interface and attractive interface. In conclusion, These are few best utility apps for android phone which we find useful. These apps will provides you all missing defaults apps. Their are numerous of utility apps for android available in marketplace which can choose according to your requirement. In case we missing any popular android utility app let us know.